She should know. Once abused, abandoned, and forbidden to pursue her passion to train in the martial arts, she broke through the ultimate glass ceiling to become one of the most highly ranked martial artists in the world today and the founder of her own school of martial arts aimed at overcoming limitations in every area of life. 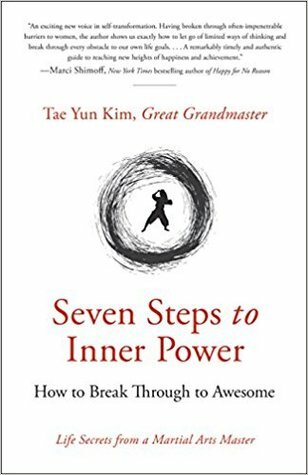 About the author: Dr. Tae Yun Kim is a martial arts great grandmaster. She began her training at the age of seven, defying five thousand years of tradition prohibiting girls from learning martial arts in South Korea. Against all odds, she became the first female martial artist in South Korea and one of the highest-ranking martial artists in the world. She founded her own school of martial arts and teaches at her academy in the San Francisco Bay area. She is also founder and CEO of a leading high-tech Silicon Valley company and has won numerous distinguished awards for her achievements and humanitarian service.